Two-stage treatment achieves the lowest possible release of odors or regulated emissions at sensitive sites. 1. What is two-stage treatment? 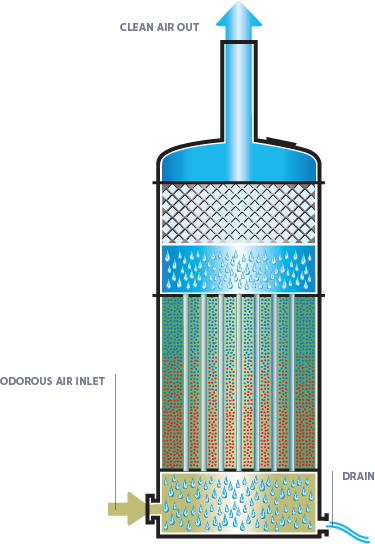 Polluted air is forced into the filter in the same way as other BioAir filters; as with all other aspects of the systems we build, the way air is collected and transported for treatment is highly dependent on the unique schematics of your site. The difference between our other filters and the EcoPure dual tech filter is that it combines of our patented biotrickling filter technology with our leading activated carbon filtration system to create two-stage treatment that eliminates more odors and emissions than any other treatment system on the market. Air entering the EcoPure dual tech filter first encounters the biotrickling filter portion of the system. That portion features our proprietary EcoBase synthetic structured media, which hosts trillions of microorganisms that consume odorous or polluting compounds. Irrigation water piped to the top of this phase trickles down through the media, creating and maintaining an environment that supports the health of the microorganisms residing in the media. The water also rinses away the byproducts that result when offending compounds are metabolized. In the second stage of the EcoPure dual tech filter system, air is forced through an adsorbent activated carbon filter. The activated carbon traps the offending compounds not metabolized in the first stage of treatment. Exceptionally clean air is then released into the environment. BioAir’s adsorbent activated carbon filters are already formulated for longer life before cleaning or replacement, but the key advantage of the EcoPure dual tech system is that air entering the second stage of treatment is already very clean. That significantly extends the service life of the carbon filter, reducing the total cost to own and operate the system. BioAir’s EcoPure dual tech filter releases the cleanest possible air to the environment because it combines the best aspects of two proven odor and emission treatment methods. 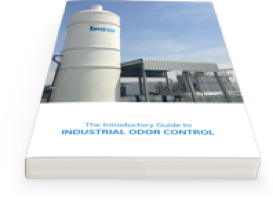 This is key for industrial or municipal facilities located near sensitive residential or commercial developments where even trace odors and emissions can cause problems for neighbors. Results in the cleanest possible air. Significantly reduced carbon filter expenditure. Custom design fits your site’s exact needs. Easier to operate and affordable to maintain. 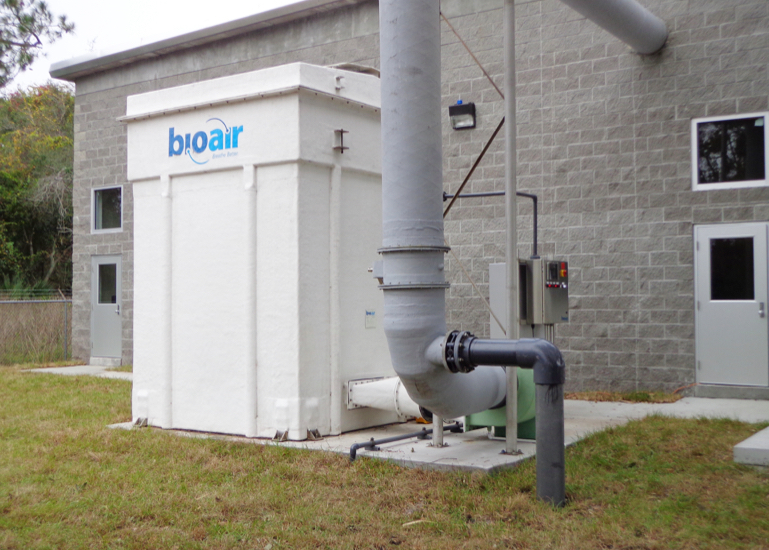 BioAir’s EcoPure dual-tech filter system is well-suited to treat a variety of odor and emission problems at almost any industrial or municipal site. Because their greatest advantage is the exceptionally clean air emitted after treatment, they’re most often used in food and beverage or municipal wastewater treatment sites located near (and sometimes immediately adjacent to) homes and businesses. But the benefits of the EcoPure system extend far beyond close-quarter applications, so BioAir experts will recommend it if your site’s circumstances call for it. BioAir Solutions offers many different odor and emission treatment options, each tailored to the unique challenges you face.